View More In Swivel Chairs. Enhance your working experience with this hodedah office chair. This task chair is a great addition for any home or office. 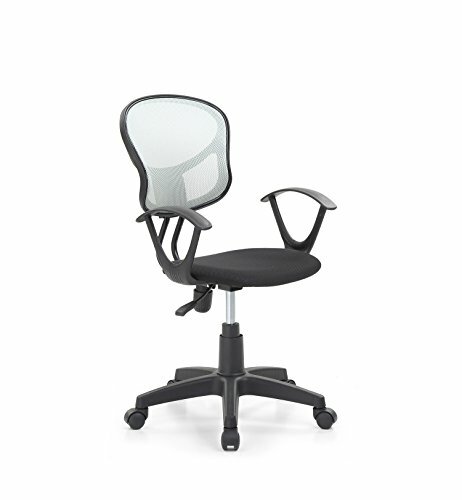 This Hodedah office chair comes with a thick padded seat and breathable mesh back for all day comfort. You can easily adjust the seat Height according to your preference. This task chair has a nylon base that offers stability and comes with hooded wheel casters that facilitate smooth movement around any type of flooring. Available in a variety of colors, one is sure to match your room décor. If you have any questions about this product by HODEDAH IMPORT, contact us by completing and submitting the form below. If you are looking for a specif part number, please include it with your message.